I remember the early days just after my husband left me that sleep was a near impossibility. I would fight to fall asleep and then wake up crying in the fetal position throughout the night. It was an awful time. Difficulty falling asleep and staying asleep can be a product of any life stressor. According to Sleep Score Labs "Sleep is a powerful stress reducer". Getting a good nights sleep can helps reduce stress, and inflammation and has many other health benefits according to Very Well Health. They point out that getting 7-9 hours of sleep a night can decrease the risk of depression. This is good to know when many of us going through divorce will struggle with depression and the fact that getting little sleep adds to depression is a disconcerting thought. A good nights sleep is vital to our health both mental and physical. So what do we do if we can't sleep due to life's traumas? Here are some suggestions I have found online. Do your best to go to bed at the same time and get up at the same time every day, even weekends. Avoid alcohol and caffeine in the evening because they may interfere with your sleep cycle. Some people meditate or journal before bed, but I find reading helps me to relax and aids in a good nights sleep. There are countless suggestions on how to fall asleep and get a good nights sleep. Not every suggestion works for every person, but many are worth a try to get that good nights sleep that we all need. Many of us will need to consult with a Dr if we are unable to sleep. For me, it took sleep aids to help me make it back to the world of getting a good nights sleep. After I started sleeping again, I felt so much better. Please don't be afraid to ask for help. We need our sleep; it is vitally important. If you are having problems sleeping due to lifes stressors, many methods may help. Seek help through counseling or seeing your Dr for assistance if needed. 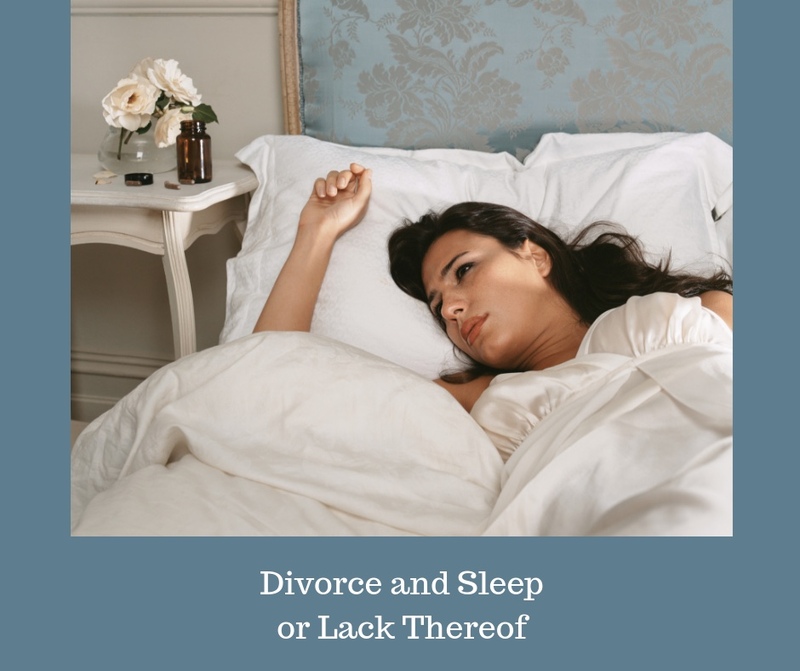 "Can't Sleep During Divorce? How to Handle the 3 AM Divorce Demons"
"Can't Sleep Because of Your Divorce?" "Healing After Divorce, No More Sleepless Nights"